An Overland Park, Kansas-based developer said the Kansas City area is in a development renaissance and space for indoor youth sports to support a growing number of families is one driving force. Price Brothers Developers plans to break ground on phase 2 of its BluHawk development near 159th Street and Antioch Road in March. The phase will include an indoor arena, indoor sports complex, hotel, and restaurants. OVERLAND PARK, Kan. — An Overland Park, Kansas-based developer said the Kansas City area is in a development renaissance and space for indoor youth sports to support a growing number of families is one driving force. As such, Price Brothers is planning a hockey arena in Overland Park and its president said he hopes a separate developer follows through on plans to build a similarly-sized hockey arena less than 10 miles away in Olathe, Kansas, saying he doesn’t see it as competition. Doug Price of Price Brothers Developers said there is enough demand to support two new ice rinks in Johnson County. His company plans to break ground on phase 2 of its BluHawk development near 159th Street and Antioch Road in March. The phase will include an indoor arena, indoor sports complex, hotel, and restaurants. Price said the sports complex would have room for more than just hockey. “We also know hockey is not number 1 in Kansas City. We have basketball, volleyball, cheerleading, karate, all kinds of tournaments for which we have tremendous demand,” Price said. In Olathe, Woodbury Corporation plans to build a hockey arena at the site of the old Great Mall of the Great Plains. The redevelopment project includes other retail space as well. The city councils in each municipality approved each developer’s request to ask the state for STAR Bonds to help pay for the construction of the arenas. STAR Bonds are ways for the Kansas Department of Revenue to return money from sales taxes to tourism projects that develop sales tax revenue. “I hope they get it [Olathe gets a STAR Bond too] because there is room for indoor youth sports. We don't have enough facilities, and there is ample demand for more hockey, more youth tennis, all these sports,” Price said. He anticipates the department of commerce to decide whether it will approve the bond request in March. Price Brothers is asking the state for roughly $64 million. Without public financing, Price said the hockey arena is not as viable. 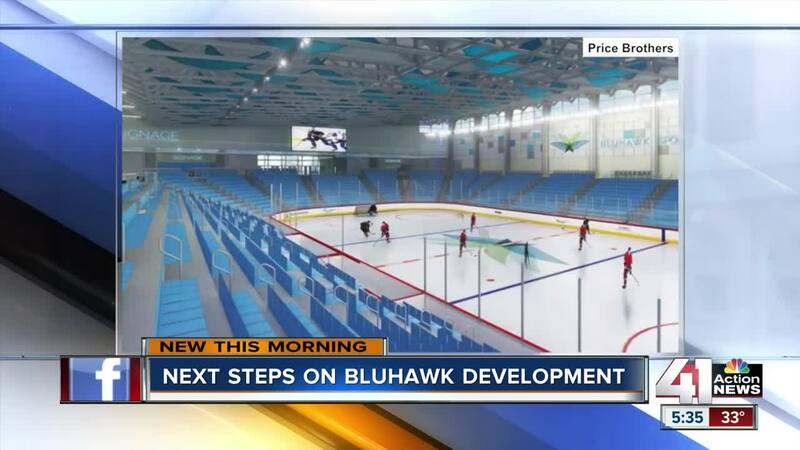 The arena and athletic complex is a key factor to the success of BluHawk. Price said consumers want an experience more than simply a shopping center. 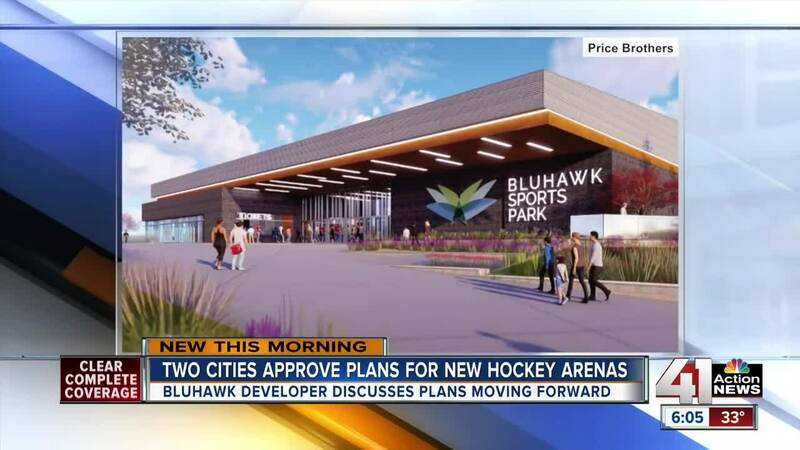 By offering a sports complex and an arena which could host experiences such as amateur hockey games, graduations, state athletic tournaments, he can draw consumers to retail and restaurant aspects of the BluHawk development. “Sports energizes people. It makes them hungry and thirsty and you come out with a sense of energy. Maybe tired, but your adrenaline is flowing,” Price said. In a rare sit-down interview, Price announced Cactus Grill, Five Guys and Panera Bread will open new locations in BluHawk. Among topics discussed, Price said Kansas City is on its way to becoming the hottest place between Dallas and Chicago. He said he’s never seen all areas of the city developing on such a fast pace. He said growth is the key to a city’s sustainability, but highlighted growth must be managed properly. “I hope that's something we have to consider in five years, is how to manage this stuff. I see new highways, I see new public transportation in Missouri. I think civic leaders are on board,” he said. In a developer’s world, there are changes not everyone agrees with. Growth can lead to more traffic and differences to the character of a neighborhood. He said the fact so many new schools are opening in southern Johnson County is proof the area is ready for consistent and long-term growth. “We've been fortunate that for the most part the groups of neighborhoods and city officials are understanding that a certain amount of uncertainty, although uncomfortable, is necessary for steps forward,” he said. Price said projects such as BluHawk are his chance to prove the uncertainty is worthwhile in the end. The original plans for BluHawk included a satellite location of the Comsosphere museum. Price said he scrapped plans for the museum in Overland Park in phase 2, but hasn’t completely ruled out including a museum later on. “It became more apparent that museums are very difficult to sustain without constant donations and contributions,” he said. His company bought the land for BluHawk in about 2007. The family came up with a name for the area before a concept. The land is in the Blue Valley area of Johnson County, and members of the Price family are fans of the University of Kansas. So they combined Blu from Blue Valley and Hawk from Jayhawks to form BluHawk.